Gruppo Baglietto informs that Fabio Ermetto, Marketing and Commercial Director has resigned from his duties. Gruppo Baglietto would like to thank Fabio Ermetto for his commitment to date. On 3 December, Admiral and the yacht Commanders met in Genoa for the annual Admiral Yachtmaster Meeting, which, this year, is now in its fifth edition. The backdrop to the meeting was Villa Lo Zerbino, a historic patrician house in the heart of Genoa with a wealth of seventeenth century frescos to which were added, in the Nineteenth century, elegant neo-classical decorations and with wonderful Italian gardens with grottos, fishponds and marble sculptures. The session of works was opened with a greeting from the CNL management to the more than 50 Commanders present. This was followed by two technical interventions of considerable interest and pertinence: water-jet propulsion and electrical stabilisation. Andrea Cerutti, from Rolls Royce Italia, presented by Daniele Succio, Technical and Commercial Manager of CNL, together with the Commanders, tackled the subject of water-jet propulsion on large sized yachts and, in particular, explained their functioning and the advantages of the model which CNL has included on its 44 metre new, planning flagship, the Admiral 44 WJ in construction at Lavagna. These advantages are those such as its great maneuverability, the absence of vibrations, the reduced immersion and the excellent performance with regard to speed. Alessandro Cappiello, of CMC Marine, and Francesco Rogantin, CNL Technical Director, on the other hand, updated the Commanders on the brand new stabilising fins with electrical functioning, a revolutionary novelty in the field of the stabilising of large yachts. This solution guarantees advantages with regard to performance: simplicity of installation, silence, no significant loss of power, a more rapid response within a range of wider frequency and the greater rotation speed which enormously improves the stabilization of the anchor. A confirmation of CNL Admiral innovation for the purpose to guarantee excellent performance in style. An intensive, professional, constructive and involving day, both for the Commanders who participated actively and with enthusiasm and for the organizers who were able to meet face to face with those who have a real experience the sea. A fixed date, then, for next year but always with consistent attention paid to both professionalism and quality. 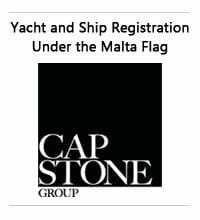 Ferretti group, a world leader within the sphere of designing, building and marketing luxury motoryachts, which encompasses nine of the most exclusive and prestigious brands in the nautical world (Ferretti Yachts, Pershing, Itama, Bertram, Riva, Apreamare, Mochi Craft, CRN and Custom Line), announces that Vincenzo Cannatelli has relinquished his powers as Chief Executive Officer of Ferretti S.p.A. and has resigned from the position of director of the subsidiaries effective immediately, while continuing to serve as member of the Board of Directors of Ferretti S.p.A. until the General Shareholders’ Meeting that will approve the financial statements for the year ending 31 August 2008. This decision, taken in full agreement with the Board of Directors of Ferretti S.p.A., takes account of the extension of the timetable for a potential IPO, given the financial market crisis and, consequently, the need to allow the Company to lay out an organizational structure that is more consistent with the current market conditions. Norberto Ferretti continues to serve as the Group’s Chairman and Chief Executive Officer, Ferruccio Rossi has been confirmed as the Group’s General Manager, and Mauro Moretti, the Group’s CFO, will receive broader operating powers. Ferretti Yachts confirms its position as an ambassador for Made in Italy excellence in the Romanian market, too. This was the verdict given by the third edition of the 'Caesar Awards', the exclusive event presented by CAESAR magazine, which has recognised the best international luxury products for the 2009 season. In the presence of 200 selected guests, including Romanian Prime Minister Calin Popescu Tariceanu, Ion Tiriac, Ilie Nastase and Nadia Comaneci, the prizegiving "Awards Gala" ceremony rewarded excellence in international luxury, divided into product categories. In the "nautical luxury" sector, Ferretti Altura 840 won the title of "CAESAR BEST YACHT", an accolade given to the yacht built by the Forlì-based yard. The Altura 840 presented in world preview at the Cannes Boat Show 2008 marks an evolution and renewal for the yard, extending the historic series born in the mid-1970s with Altura 42 followed in the 1980s by the Altura 46 and Altura 49, "pioneer" models that opened up an age of motoryachting with cutting edge innovation. Altura 840 now stands alongside Altura 690, which provided the inspiration behind the design project, as an extremely comfortable yacht with generous, welcoming spaces and high navigation performances. At the ceremony, held at Crown Plaza in Bucharest, the Ferretti Yachts management celebrated winning this prestigious award with Francos Marina, the dealer for Romania. Fomula Boats Inc from USA has won the best boat in the 40' and under category with the 400 SS model in the Arabian Yachting Awards for 2008. The awards were divided into 18 categories and are a reflection of all boats sold in the Middle East, with a primary focus on the UAE. Gianfranco Rizzardi, President and Owner of Inrizzardi Group was listed as one of Italy’s top 100 managers, in the annual Atlas named Top Management Italiano 2008, edited by Communicazione Italiana. PAE is very excited to announce the opening of a state-of-the-art factory in Xiamen, China, which will become the new production center for nine of the Nordhavn models. After almost two years of blasting, digging, welding, pouring, wiring, plumbing and fine finishing, the new factory built by Chinese South Coast Marine finished September 1 and immediately commenced with full production. The new factory which replaces the original factory built in 2002, is a magnificent facility and ranks as one of the top yacht building factories in the world. Erected on 20 acres of land and with nearly 400,000 square feet of floor space, the plant, known as “Xiamen II,” boasts many high-tech features including a climate controlled lamination room for ABS class certification, computerized materials handling, a 150 X 40 foot test tank, an on site metal fabrication facility, an on site lumber mill, an on site hotel for PAE staff, Nordhavn buyers and their captains and crew and dormitory facilities for the factory workers. As a really cool touch, the word Nordhavn has been written in 30-foot high letters on one of the massive production bays clearly visible from outer space. Seriously! Just wait until Google Earth updates the area around the factory and you’ll be able to see for yourselves. The Xiamen II plant currently has a workforce of 600 people and builds the following Nordhavn models: N40, N43, N47, N52, N55, N60, EYF75, N86 and the N120. The workforce will expand to over 1000 people within the next 24 months. PAE has invested a considerable amount of time, effort and money in recent years to develop and introduce new models and find itself perfectly positioned with a fresh product line and the eminent arrival of two exciting new models, the MS56 and the EYF75. 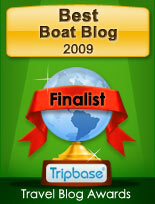 Nord West receives notice for nominees for both 420 and new 370 to win the Motor Boat of the Year 2009! The winner will be announced during the London Boat show in January 2009. The Swedish builder is not new to this price having won it twice in a row with the 420 Flybridge model. Since Christmas 2008 the sophisticated style of the prestigious nautical brand Made in Italy expanded also on fittings thanks to a collection of exclusive products born to decorate not only the interior of the Riva yachts. Pure and noble materials like cachemire, silk, leather and linen were the protagonists of the very first Riva Home Couture collection presented to the public and press from December 12th to 22nd in the showroom at 15/a, via D. Manin in Milan. Products thought to satisfy the most refined tastes through a careful research of fabrics and design. Like the Scia (Wake) model, plaid and cushions on which an embroidered draws the ideal wake of a Riva yacht; or like the reading set made in pure cachemire, with a special plaid studied to make reading a true luxury moment. The elegant collection achieved immediately a huge success, thanks to the high quality materials used and to the originality of the products proposed and it will be sold by appointment only at the showroom in Milan. Australian leading luxury boat builder, Riviera, today announced it had completed a strategic and operational review addressing the impact of slowing demand in the current economic climate and providing a more stable platform for growth. The company announced a number of changes to the executive team, including the appointment of Ms Ly-Eng Ea as Chief Financial Officer and Mr Les Galbraith as Managing Director of the company’s Australasian retail organisation, R Marine. Mr Galbraith takes over from founding Managing Director Mr Tim Sayer who has been promoted to the new position of Director of Global Sales and Marketing. Mr Michael Burke has been promoted to Director of Operations. Ms Ea joins Riviera from Siemens in Singapore where she has held a similar role since 1994 while Mr Galbraith was previously with the Stella Group. The review also included strengthening of the company’s banking facilities and an injection of new equity from its institutional investors which include Ironbridge and Gresham Private Equity. John Anderson, CEO of Riviera said the financing arrangements, which included a new three-year debt facility, provided the management team with greater flexibility as it responded to the challenges in global markets. With a graceful turn to starboard, Ian Reynolds fulfilled a dream to circumnavigate Australia. At the age of 80 years young, he and his Riviera 56, Investigator IV, entered the Gold Coast Seaway after a year exploring the sometimes exotic, sometimes fierce and always awesome coast in a 9,000 nautical mile adventure. Ian’s voyage ended as had begun, under a giant Riviera flag hovering over the fleet. The flag, measuring 12 metres by 12 metres, was used to salute his departure from the Gold Coast Seaway on November 1, 2007. Now – 380 days later - it welcomed him home. A fleet of boats of all sizes waited as helicopters hovered overhead. Then the boat appeared from behind the headland and the fleet surged forward to greet him, sounding their horns. Crowds on the breakwater applauded. Ian Reynolds and Investigator IV made their way through the gathered boats that quickly formed a line astern, heading north on the calm Gold Coast Broadwater toward McLaren’s Landing for a celebration party, a time to talk of the voyage and finally to relax. During the party, Riviera presented Ian with a large framed chart, a copy of the one first published by Matthew Flinders in 1804, a year after he circumnavigated Australia. With the chart, the continent’s true shape was shown for the first time. Reynolds’ Investigator IV is a standard Riviera 56 Enclosed Flybridge, fitted for the voyage only with the addition of an extra 713-litre fuel tank, a watermaker, extra anchor chain and sophisticated electronic navigation aids. The adventure included a brief diversion to take the helm of the 70-metre long square-rigged sailing vessel James Craig, diving with great white sharks off Port Lincoln in South Australia and losing his starboard propeller in the aptly-named Whirlpool Pass in the Kimberley region of Western Australia. Throughout the voyage, Ian Reynolds sought locations to remember Matthew Flinders, the first person to circumnavigate Australia and, in doing so, to give this continent its name. Ian has owned five Rivieras over the past 12 years – all except the first called Investigator after Flinders’ ship. A true blue-water sailor, he began his voyaging aboard a Riviera 35, venturing from Melbourne across Bass Strait to the entire northern Tasmanian coast and return. He navigated Investigator II, a Riviera 48, from Port Douglas to Hobart, inspiring him to plan his first circumnavigation – around Tasmania. That task was completed in 2006 aboard Investigator III and plans began immediately for the continental voyage. Luxury boat builder Riviera is ending 2008 on a high note with a ceremony to honour high achieving staff over the year. The company yesterday announced its Star Performers for 2008 in three categories: Star Performer, Apprentice and Safety. Each was rewarded with a trip to New Zealand to visit the Auckland International Boat Show in March next year. Riviera Star Performer for 2008 is Matthew Febey and Apprentice of the Year is Craig Folker while the company’s vital Safety award went to Shane Hollindale. Matthew Febey said he was proud to receive recognition for his work. The annual Star Performers lunch at the company’s R Restaurant Bar brought together all nominated outstanding staff for the final quarter of the year as well as the best from previous quarters. More than 80 staff gathered to applaud the achievers. Riviera CEO John Anderson used the occasion to tell staff the company continues to out-perform its major competitors around the globe at international boat shows. He said the performance of staff across the company continued to improve and the quality of boats being delivered was the best the Dealers have ever seen. 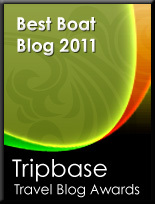 On 9th January 2009 The Sunseeker Charitable Trust will once again be supporting The Outward Bound Trust Ball. The Outward Bound Trust is a deserving charity with HRH Duke of York at its helm which helps young people, and in the last year more than 30,000 young people attended an Outward Bound Course, half of whom were supported financially thanks to generous supporters. The 9th January 2009 will see a line up of internationally acclaimed artists giving their services free of charge and performing Bee Gees' greatest hits, Robin Gibb CBE, the legendary Bill Wyman and "The Rhythm Kings" (as the resident house band) Lulu, Spice Girl Melanie Chisholm, soul diva Beverley Knight, Georgie Fame, Mark King from Level 42, Kenney Jones from The Who and the Small Faces, Paulo Nutini, Atomic Kitten's Natasha Hamilton and Russia's number one selling artist Valeriya will all be on stage to entertain you. The black tie ball is once again being held on the first Friday of the boat show (9th January 2009) at Battersea Evolution, Battersea Park, London. Last year many of you supported this event and we would be delighted if you could do so again. Tickets are available at £250, £500 and £1,000 per person. This is an exclusive event, tickets are limited and this will be the only time these artists appear together on stage so please come and lend your support and help us make this a night to remember. The Seatorque Boss Enclosed Shaft System was introduced in 2006, but having been contacted by UK representative H4 Marine, it was decided to review this innovative propulsion system representing power development efficiency. The Boss Enclosed Shaft System has been designed in house by Seatorque’s engineering department, and the system offers ease of installation, effortless mechanical alignment, reductions in labour cost, and a 2 year or 250 hour limited warranty. With boat builders continually looking for time saving solutions during production Seatorque believes that the Boss Enclosed Shaft System can offer considerable savings and benefits. The boat owner gets a quieter boat with less service and maintenance. In short the advantages to the manufacturer and boat owner are multiple including: noise vibration reduction, routine maintenance minimised, no dripping stuffing box with bilges kept dry, increased axial stiffness greatly reducing the level of damage or risk of bending a shaft during a grounding, engine and transmission service life increased, overall propulsion efficiency improved by approximately 8% allowing for greater fuel economy at cruising speeds with increased operational range, improved hull harmonics due to reduced vibrations helps attract fish for the sportsman, construction costs slashed by 2/3Rd's, elimination of any intermediate strut cutlass bearings, no installation alignment difficulties, no post delivery engine re-alignment issues, total drive train supplier consolidation for the builder and is suitable for power and sail boats. The Seatorque Boss Enclosed Shaft System STM3 is available in 8 sizes from 100 up to the 400 model. 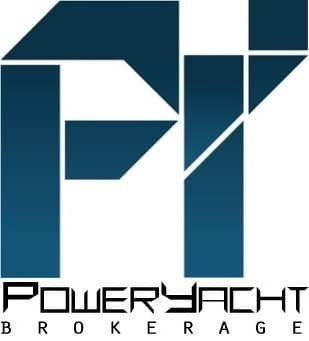 So far its has been used by some renowned builders included Donzi Roscioli Yachts, Egg Harbor, Ocean Yachts and Fleming. The new Fairline 70 Squadron makes her World debut at the coming London Boat Show. Central to the concept of this new model is the British company desire to improve upon the success of the 68 Squadron, a Motorboat of the Year class winner, of which the 70 Squadron evolves from taking her design, creating greater flexibility and enhance the large yacht feel that is a hallmark of the Squadron range success. The introduction of an extended hydraulic hi-lo bathing platform, from which the increase in model designation derives its name, is one of the more evident external developments. This not only allows easy access, handling and storage for the Jet RIB tender, but also provides a spacious and well-equipped facility for swimming, diving and water sports. The flybridge too has been subject to intense evaluation by Fairline's design team and the result is a choice of two layouts; an extended sunbathing area aft with beautifully contoured day beds for a more relaxing onboard experience, or alternatively, a tender stowage area and crane for those seeking a more adventurous lifestyle. Add to this a choice of aft layouts below decks, allowing the owner to dedicate this area to guests or alternatively a crew cabin and utility facilities, and you get a great amount of flexibility in this luxury 22 metre motor yacht. Maritimo the renowned Austrailian Yacht builder unveils two more projects, aiming to bring it more at the forefront of the yacht building industry. The first of these new projects is from the new Aegean Flybridge series motor yacht line. This new line should launch its first model, presented on PowerYacht Project a few weeks back, the A60 in the coming days. With the new A55, Maritimo follows the concept used for the construction of the A60, using the Sports Cabriolet series hull lines, with a different superstructure adding up top a sleek flybridge which takes some hints of European style, but with a down under unique flare in the final shape. So far Maritimo have given little or no information for this new model, although expect a 3 cabin yacht with twin 670hp Cummins engines as is for the C55 Sports Cabriolet. The other much waited project is Maritimo’s new flagship the 73 Cruising Motoryacht. Weighing in at about 50 tonnes, the new Maritimo flagship stretches out to more than 24 metres, boasting a beam that exceeds the overall length of similar yachts. 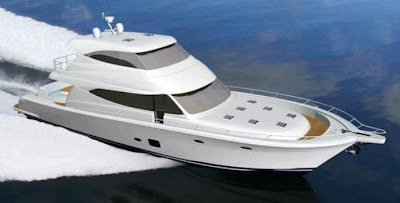 The Maritimo 73 Cruising Motoryacht is the largest vessel ever built by the company and is scheduled to be unveiled during the 2009 Sydney Boat Show. Everything about the new flagship is massive, call it a small ship, or big yacht if you like. Her standard power is a pair of Caterpillar C32 marine diesels, each generating 1550hp, with a smaller twin 1000hp C18 Caterpillar option available. The huge C32 Caterpillar engines give the new Maritimo flagship a top speed in the region of 36knots and a cruising of 30 knots, with the smaller C18 giving a respectable top speed of 28 knots. Caring for the engines will be no problem, thanks to a meticulously planned engine room offering full height headroom and ample space for routine maintenance procedures. Accommodation will be a fully air conditioned interior, offering the comforts of a home, with a superb galley and spacious luxurious spaces. The owners master suite for example will boast his and hers en-suites. The new Apreamare 44 continues this Italian builders success, who with the help of Victory Design offer a novelty which shouts tradition but takes hints of the recent models developments, read stern similar to the 64. As has been for Apreamare traditional Gozzo cruisers the sober elegant lines make the functional upper deck immediately recognizable thanks to the wide passageways, the settee to fore, huge bow sunbed, and the settee aft which if desired can transform into an additional sun lounger aft. Lower accommodation deck is reserved for the two spacious cabins and a galley: offering an owners cabin forward, a guest cabin with a single and a double berth, and two spacious en-suite heads, of which the one in the guest cabin featuring double doors to be used also as day bath. The airy l-shaped galley also distinguishes itself for its functional space offering a double wash basin worktop, and a well sized fridge freezer. The main deck saloon offers a c-shaped settee which can transform to a double berth thanks to the adjustable table, the helm station to starboard, and l-shaped unit. A crew cabin aft is also available. 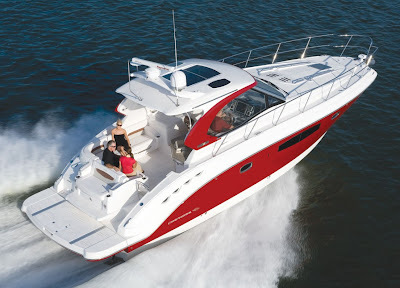 Power for Apreamare 44 is by twin Cummins of 480hp or 550hp, which give top speeds from 30 up to 32 knots. A legendary model from Italian builder Ilver, which after presenting the first update of the Mirable with the 42 HT version in Genoa 2007, continues its evolution with the project of the Open version, aimed at replacing the 41 Mirable after 10 years of successful production. The new 42 Mirable Open is identical to the HT version in function, giving the much sought 3 double cabins and the well sized galley on the main deck. What you will be missing is the hard top, but thanks to this the Open version has classy sporty lines as tradition from the Mirable model since its launch in 1991, offering good looks but also spacious space below. Power will be from twin stern drive propelled, Volvo D6 at 330hp, or the bigger 370hp option. The new much waited 82 Convertible, Viking's brand new flagship model which will be joined by three additional new launches, all to be premiered at the 2009 Miami Show in February, with a sneak preview at the Viking Service Center, January 30-31, 2009. The Viking 82 Convertible represents another ground breaking design that Viking produces thanks to its in-house team and the expertise of thousands hours racked up by its demo program. The profile of the Viking 82 is as recognizable at the dock of a yacht club as it is on the 1,000 fathom line. The aggressively raked stem, the gorgeous sheer and the symphony of soft, seamless curves are a true feast for the eyes. The foredeck, for example, is flush with a gentle crown, which hints at the substantial headroom below in each of the four staterooms. Freeboard forward is nearly nine feet, yet a modest three feet in the cockpit, which makes it safe and effortless for the crew to release fish unharmed. With a maximum beam of more than 21 feet, a lesser design would look chunky and clunky, but the Viking 82 wears its measurements like a runway model. The substantial beam allows an epic salon, entered through an electric sliding door, and features an L-shaped sofa excellent to enjoy relaxed entertainting, a dinette to port, and bar stools at the granite topped galley counter to starboard what creates a relaxing format practical environment. The galley is super yacht class with gourmet appliances and stowage capabilities to cruise for weeks on end. A companionway to port leads to the four staterooms, plus private crew quarters for two, which also includes a head with shower and access to the engineroom and cockpit. In the master suite located amidships for maximum comfort and privacy, there is a king-size bed with stowage below, a settee, a dressing table, an entertainment system, a chest of drawers and an oversized fiberglass shower stall in the head. An offset companionway leads to three additional staterooms, each with a private head and shower. Due to the generously sized staterooms, there is flexibility in the sleeping accommodations with both queen and double berth arrangements. The aft deck boasts 235 square feet of working space, and features Viking signature mezzanine deck beneath the flying bridge overhang for protection against sun and spray. The open flying bridge features a center helm console with electronics that stow neatly beneath clear acrylic panels for all-weather use and dual radio boxes provide additional room. Port and starboard bench seats conceal rod stowage below and built-in freezer and refrigeration space is standard ahead of the helm station. Three Murray Products helm seats with teak ladder backs and stainless-steel hardware and pedestals provide comfort and superb visibility. The Viking 82 Convertible will be powered with MTU Series2000 diesels affording a cruise speed of 30 knots and a top end in the mid-30 knot range depending upon engine selection, load and sea conditions. Abati Yachts present its new flagship model, the 64 Freeport project, set to debut the coming summer. As shown from this Italian builder smaller models, the new flagship project continues the traditional lobster lines, but with a modern design influence, as the slanting stern with a big tender garage, and the well sized central ship windows for the full beam owners cabin. The 64 Freeport makes good use of its space, showing spacious exterior areas and intelligent cabin use. Its exterior deck offers 2 huge sunpads to fore and aft, something unusual for a traditional lobster yacht, but also the flybridge is made for the sun worshippers, showing its builders Mediterranean heritage. The interior welcomes you in the saloon social area, offering entertaining, dining and galley all in one place. The lower deck is all reserved for the three spacious owner and guest cabins and there en-suite heads. Power will be from twin MAN engines, with three options available starting from smaller 1100hp up to twin 1360hp, which the builder is estimating will give top speeds of about 35 knots. Chaparral presents its latest flagship model the 400 Premiere, offering a progressive styled hardtop sports cruiser, showcasing soft European flare with a bold American style. The cockpit gets you covered with a wraparound windshield that fits seamlessly with the hard top, and featuring also a cockpit air conditioning and misting system keeping things cool when the going gets hot. The raised helm is full of technological marvel with an innovative ask any question, sophisticated computerized instrumentation giving the answers. Breaking tradition, premium leather bucket seats offer a form-fitting difference over a standard captain's bench. At speed, get in gear with a sport yacht that runs in every way thanks to Volvo's successful IPS propulsion system, which thanks to joystick maneuverability in even the tightest docking situations, makes this 40 footer easier to operate than most 20-footers. As impressive as the 400 Premiere is topside, its even better down below with luxury at your fingertips in every inch of the way, with finishing in ageless solid wood cabinetry blending with the modern styling of stainless steel to create a unique environment. Its lower deck though is not only luxury but also spacious with a fully equipped galley and overnight accommodations for six, separated in three areas in total comfort. The forward stateroom features an innovative fold out queen sized bed, while on the sides separate rooms house the en-suite head and shower for the owners cabin. The aft mid-ship cabin, also with an en-suite head, and its own entertainment station provides the perfect guest cabin with an l-shaped settee which easily transforms to a double berth. Yanmar Marine has announced the introduction of a new generation of it’s BY Series lightweight diesels, two years after the first of these electronically controlled common rail engines became available. The BY2 Series diesels, with NMEA 2000 CAN-bus technology, will provide the same output as their predecessors, the four-cylinder 150hp (110kW) and 180hp (132kW) models, plus six-cylinder versions at 220hp (162kW) and 260hp (191kW), all rated at 4,000rpm. As before, they all meet the latest EPA and RCD emissions regulations. The new BY2 Series engines will have many improvements incorporated. These include a fully jacketed water-cooled exhaust manifold. There are modifications to the turbocharger and heat exchanger, along with a full metal top cover, which provides protection to the fuel system components below and results in a lower profile of 23mm. The engine control unit (ECU) has been reprogrammed from torque to speed control, providing smoother operation and better synchronization on twin engine applications. A glow plug controller has been added as standard equipment, which virtually eliminates cold start white smoke. To provide easier installation of the engines and future servicing, the fuel inlet and return connections on the engine are now incorporated into a single manifold mounted on the lower side of the engine, along with a new two-piece flywheel housing for both sterndrive and inboard applications. Cranchi new Master Cruiser HT line starts with the introduction of the new 32 Zaffiro HT model. The HT version is based on the standard 32 Zaffiro and similar in all, but with the addition of rigid protection in the central cockpit, under the helm station. A 36 Zaffiro HT with a similar concept is also on the works, and will be the second in this new line by the Italian builder. Still from a renowned firm as Cranchi, I would have been of the idea that this new line could be the input of more modern hard top looks, then this actual design which looks more like a sport fisher then a modern hard top boat, with the thinking going that the Pelican models already do a similar job to this. Ocean Yachts 37 Billfish, is a stunning looking boat, presented by this 31 year old builder, last February during the Miami boat show. The new small Ocean revives the sixties when day sport fishers where common sight in any marina around the globe, coming from now famous legendary boat builders who created a myth in that era, which lives as at today. 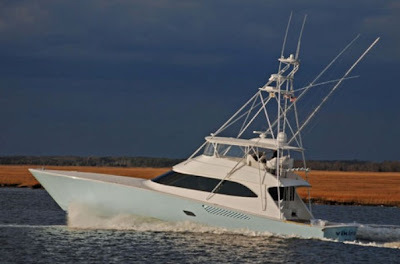 The 37 Billfish is revolved to those enthusiasts who want a classic looking sport fisher with amenities of the new millennium, such as modern diesel engines, luxury interiors, and the improving ride of modern hull shapes. The thinking is also that the new small Ocean Yacht is also an interesting sportfish cruiser for those owners wanting a classic, but have no time in refitting an old boat to there liking. As rugged and minimal as it may look the 37 Bill Fish has a luxurious finished satin cherry wood lower deck, offering a comfortably spacious three berth two plus one forward cabin, a nice l-shaped galley and a head with enclosing shower stall. 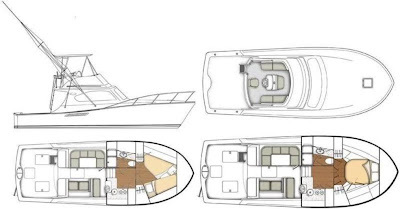 Ocean Yachts also offer an option B layout here, with the change in the forward cabin, in this case featuring a more luxurious double island berth. The main deck of the 37 Bill Fish is what would you expect from a sport fisher with a free roomy aft cockpit for the fisherman, but also easy to organise a set of chairs and table to make this a nice entertaining area. Move more to fore, and you have to port a 6 person c-shaped dinette, a settee opposite, and to starboard we have the lower helm station. The fly for an 11 metre sport fisher also offers more then the usual comfort with a central single seated helm station, and 2 person settees on each side. 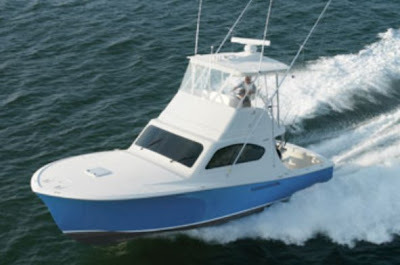 As most US built Sport fishers, the 37 Billfish has it all, good top end speed of 35 knots, and comfortable cruising of 30 knots with the smaller engine option of twin 480hp highly efficient Yanmar engines, propelled with stable shaft drives in propeller pockets. For that extra knot Ocean also offers a more powerful twin Cat C9 510hp option. Hull shape is a geometrical vee, with a deep forward entry of 32 degrees going to a moderate 12 degrees aft, for more stable low speed trawling. Last minute news also says the 37 Billfish to be also available with a Pod drive propulsion in the near future. We wait for more information about this. Ocean Yachts 37 Billfish is a unique affair and real competition is hard to come by. 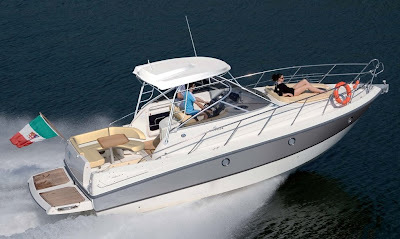 If you are looking for a Sport Fisher with classic looks and dual helm station, but an open cockpit no patio door main deck, it is your only relevant choice. Similar in concept but slightly bigger in size is the San Juan 40 FB, but in this case more of a traditional cruiser lobster design. Ocean Yachts have been clever when they embarked in the project of the 37 Billfish, finding a niche in the market for a classic looking boat, with a unique flair. You can buy the 37 Billfish definitely to go fishing, which is its main job, but you can also purchase it as a classic looking boat with plenty of thoughtful features in its design, performance, great sea keeping and none the less the outstanding rugged good looks. Picture Copyright Ocean Yachts. Data Ocean Yachts. Mythical builder Sanlorenzo presents the new SD 122, the second model of the semi displacement line built of fiberglass, introduced a year ago with the introduction of the SD 92. The new SD 122 is designed by renowned yacht architect Francesco Paszkowski, who presented a three deck super yacht, with the classic Sanlorenzo looks, offering timeless lines and the much sought after dark windows in the upper deck. The standard interior layout offers 5 cabins for the guest and his owners. Crew berths are for 7 members in 4 cabins. Power is by twin C32 Caterpillar giving 1623hp each, which give a maximum speed of 17 knots and cruising of 12, with a range of 3000 nautical miles. A phenomenal season finale saw Qatar 95, come from fourth place on the start grid to stun newly crowned World Champions Mohammed Al Marri and Nadir Bin Hendi, in the Emirates & Dubai Duty Free Grand Prix to take their first win of the season. Qatar 95, who had been fast all weekend, flew out of the blocks and was able to catch and overtake both Victory boats in a show of power and speed, within the first lap and a half of the race. Victory 1, who led from the flag, had to watch as both Qatar boats and then Jotun passed them, but had the reliability to finish second and complete a highly successful year, ending the season as World, Middle East and Edox Pole Position Champions, and they will remain the team to beat in 2009. Victory 7, started well but had to settle for third place as they once again finished on the podium. For the third successive race in a row Qatar 96 were forced to retire from a leading position. A damaged propeller on lap four ended their hopes of ending the season with a win, rounding off another frustrating race to cap a highly disappointing year. There was also huge frustration for Jotun, who, after moving from fifth place into second spot to mount a challenge on the race leaders, saw any hopes of a race win disappear after losing a propeller. A good weekend for Roscioli Hotels Roma, was topped off with a top four finish improving on their fifth place grid placing to take a season best fourth place. Foresti & Suardi enjoyed a race-long fight with Negotiator, and held them off to take fifth place and finish the season with their highest-ever points tally, with the new pairing of Ahmed Al Suwaidi and Nicola Giorgi coming home in seventh ahead of Spirit of Spain. The young Maritimo crew saw their race end in a dramatic fashion after a big spin in the latter stages of the race, and although the boat was badly damaged, the crew came away with just a few bruises. Bavaria Yachts presents the first boat in an innovative new product called Sport Line: the 46 is designed in cooperation with BMW Group DesignworksUSA. The new Bavaria sport cruiser is the biggest power boat built to date by the German builder, and will offer a generous 3-cabin layout. Bavaria Yachts and BMW Group DesignworksUSA collaborated to develop a sport cruiser, which the German builder says will set new standards in design and functionality. It's sport dynamic will be apparent at a glance with an innovative spatial concept resulting in a 3 cabin boat which will be available as an open, a sport top or a flybridge. The 46 Open will be presented for the first time at boot Düsseldorf 2009 and can be ordered as of January 2009. Victory Team will be looking to cap a brilliant season by adding the Middle East and Edox Pole Position Championships to the World crown they lifted last week, after finishing first and second in the Mina Seyahi Grand Prix. Victory 1 heads the Edox Pole Position and Middle East Championships, and will line up for the Emirates and Dubai Duty Free Grand Prix as favourites to complete an impressive treble. The only threat to their possible treble comes from Qatar 96 crew desperate to salvage something from a disappointing season by completing a hat-trick of wins in qualifying to secure a first Pole Position title for Sheikh Hassan and a remarkable straight eighth title for Curtis. But failure to win in qualifying and in the Emirates and Dubai Duty Free Grand Prix would see the eight times World Champion without a race-win or a title for the first time in 12 years. With the title and the runners-up slot in the World Championship already secured by Victory 1, Victory 7 battle for third place is a three-way fight between both Qatar outfits and Jotun, with Abdullah Al-Sulaiti and Matteo Nicolini in Qatar 95 holding the upper hand. Victory also dominates the Middle East standings, leaving another three-way fight for third place, with Foresti & Suardi fighting with the Qatar boats as they bid to finish as the highest-placed European crew. After taking its first Class 1 podium last week, finishing third Giorgioffshore has confirmed that he will run with the team’s test driver, Riccardo Calugi. Tom Barry-Cotter and Pal Virik Nilsen have used the break between races to test and make modifications to the new Maritimo raceboat, with the Australian-Norwegian pairing looking for a second top six finish in Saturday’s final race of the season. Roscioli Hotels Roma and Spirit of Spain will hope that engine changes to both boats will resolve the issues that curtailed their last race early in proceedings, whilst Foresti & Suardi has repaired the damage they sustained and Negotiator and Jotun have resolved the problems that prevented both from starting last time out. Eleven boats will line up for the 21-lap, 97.21Nm Emirates and Dubai Duty Free Grand Prix; first official practice takes place on Thursday, 11 December (12.00-13.00) followed by a second session on Friday morning (10.00-11.30) and the Edox Pole Position at 14.30. Final practice is on Saturday morning (09.30 -10.30) followed by the Emirates and Dubai Duty Free Grand Prix starting at 14.30. The new 470 consolidates Ferretti intention to complete its new entry range with a model that fully reflects the innovative layout concept introduced by the 630, and penetrate an international target group of young, privileged owners, aiming to increase its market share in the well-established European sector and the American, Middle East and Asia Pacific markets. A product of the highly successful collaboration between the AYT – Advanced Yacht Technology, the Ferretti Engineering Division, and the Studio Zuccon International Project, the Ferretti 470 is an ideal blend of form and function in a compact size with a length of 14.65 metres and a 4.34 metre beam, making the most intelligent use of space creating the best of Italian luxury while surrounded by levels of comfort. Ferretti 470 offers a range of features that makes it unique in its class, firstly the single window area similar to the 630 and 510 in shape, providing a sweeping, uninterrupted view from stern to bows and allowing natural light to flood the entire living area. The location of the galley aft, an other feature from the 630 and 510 also optimises the use of interior space and enhances liveability by opening the swinging window, in fact, it’s possible to create a single open space with a seamless transition between cockpit, galley and living area. Accommodation, is a three cabins, two for guests and a forward master cabin with large bathroom. Natural light is provided by large opening windows in every space and a more extensive glazed area than on previous models, ensuring a greater level of on board comfort. The layout of the 470 fulfils the needs of owners who like sharing their time on board with family or friends but if desired though, crew accommodation can be created by converting the additional stern storage locker into sleeping quarters. The flybridge, accessible from the cockpit, is designed without a roll bar and offers a spacious sun lounge with a roomy sunpad aft, complemented by another sunpad on the forward main deck, a spacious U-shaped divan seating 8, table and grill area. The Bimini creates areas of relaxing shade, while the lounger forward, next to the helm station, allows guests to keep the sun worshipping. 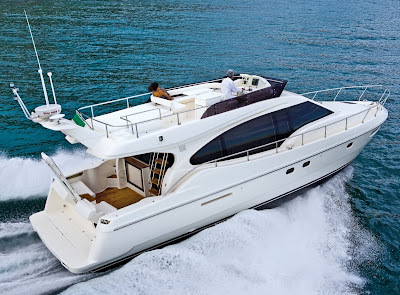 Ferretti 470 is powered by twin 600hp Cummins providing a cruising speed of 28 knots and maximum of 31 knots. The Tarquin Trader 38 Sprint project marks an important landmark for this builder history, presenting a production motor launch with a completely different dimension and style to its range, offering performance and contemporary design. The 38 Sprint hull one is scheduled for delivery in early Spring 2009, and is designed by world renowned naval architect Tony Castro. This will be the smallest Trader ever built and also the fastest thanks to the highly advanced Zeus propulsion that has been incorporated into its design. A generous beam makes this 38 Sprint a voluminous craft in her class, built using High Modulus composite technology construction which makes the 38 extremely resilient in the harshest of conditions. Tarquin’s design team worked closely with CMD to integrate the Zeus pods and their tunnels into its design. With fewer underwater appendages, there is less drag under the hull resulting in a more efficient performance compared to standard shafts and rudders, resulting in 20% more range at 25 knots and a 15% higher top speed of over 35 knots. The Zeus system also offers intuitive control systems afloat making the 38 Sprint exceptionally easy to use, with features as the ‘skyhook’ button links to the GPS system, standard joystick providing easy vessel control for the helmsman to moor, and automatic trim tabs also integrated with the Zeus system to work in harmony with the boat’s speed. Sleeping accommodation is for four featuring two spacious cabins, and a head with a full size shower and toilet. Many new luxurious materials, such as two types of bamboo in the joinery, have been used to create a modern interior styling. The saloon floor is flush with the aft deck creating one large entertainment area when the four panel doors are fully opened. A door to the side deck adjacent to the helm and a large powered sunroof allow the saloon to be opened up even further. The cockpit features plenty of sociable seating and safe access to the bathing platform and side decks and can be sheltered by canvas canopies or opened up to the saloon area, depending on the weather. Deck spaces have the feel of a much bigger boat and features such as concealed fender storage and raised mooring gear make docking easier. Every new detail that has been incorporated into the Trader 38 Sprint has been designed to make an impact, from its outstanding performance with top speeds of over 35 knots to its ultra-modern design. With a choice of four new contemporary solid hull colours, Aegean Blue, Baltic Grey, Coral Red and Jade Green as well as the traditional Trader stripes, the new Trader 38 Sprint is the most forward-thinking design ever produced from this builder. Dubai’s Victory Team celebrated their eighth World Championship success in sixteen years, after Victory 1 led home their team-mates, Victory 7, to complete the team’s third one-two finish of the season in today’s Mina Seyahi Grand Prix, with Nicola Giorgi and Giorgio Manuzzi producing an outstanding performance to celebrate their first Class 1 podium, bringing SeveneleveN home in third place. The newly crowned World Champions knew that they did not have to fight for the win to lift the title, and were happy to let Hassan and Curtis both desperate to take their first win of the season disappear into the distance in Qatar 96, and run in second spot. But on lap 15, Qatar 96 slowed dramatically, handing the lead to Victory 1 and a second World title to Al Marri and a first for Bin Hendi. Victory 7 once again produced a strong performance, taking its sixth podium of the season to secure the runners-up slot in the Championship standings. For SeveneleveN, the only boat other than both Victory outfits to complete 21 laps, third place was well deserved and a just reward for all the work the team has put in this season to develop their new boat. Fourth place for Qatar 95 was little consolation for the team, who, for the second consecutive race, saw a huge race-lead disappear due to unreliability. For Sheikh Hassan and Steve Curtis, their hopes of a race win ended after leading from the flag and for 15 of the 21 laps. After struggling to get to grips with their new raceboat during practice and in qualifying, Class 1’s youngest partnership Maritimo produced an impressive display, despite a spin and one or two hair-raising moments bringing home a fifth place after enjoying a race-long battle with Foresti & Suardi, who slowed on lap 16 after breaking a water pick-up, forced back to the pits as water poured into their engine bay. But sixth spot for the Italian-Norwegian pairing moves them into third place in the Middle East Championship and puts them within seven points of Jotun in their bid to finish as the highest-placed European Team in the overall Championship standings. For four crews there was disappointment and frustration; Roscioli Hotels Roma stopped on lap two, after seeing their team-mates, Spirit of Spain, go out on the opening lap, with both Negotiator and Jotun failing to make it to the start line. With newer, larger drive units, the Volvo Penta IPS system is expanding with two more power classes: IPS900 and IPS800. The new packages will be installable on boats up to 100 feet and thereby offer never before seen features for the environment, maneuvering, comfort and performance on this type of boat. Volvo Penta IPS is the leading system in the boating industry for pod installations. Since its launch in 2005, Volvo Penta has, with the help of the IPS system, successfully taken an increasingly greater share or the inboard market. And as a result of the systems immense flexibility with multiple installations, IPS is currently offered on an increasing variety of boat types, all the way up to 100 feet. 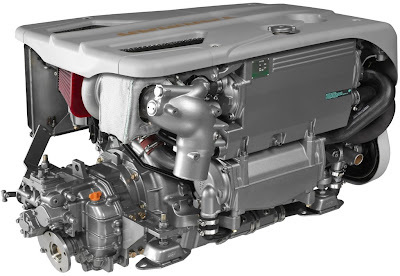 To date, the engines on the IPS system have been Volvo Penta 4 and 6 liter diesel engines with a maximum of 435 hp. Two entirely new power classes are launched with larger drive units and larger engines. More powerful drive units, larger engines with greater power and more than twice as much torque place enormous demands on drive units. Therefore, Volvo Penta has developed a larger and considerably more powerful IPS drive unit and a new propeller series for the IPS800 and IPS900. The larger drive unit provides all the advantages and characteristics that made the original IPS system so successful. An underwater body and propellers were developed with the help of highly advanced computer models along with extensive trials in the cavitation tunnel and tests on the boat. The result is an integrated, highly efficient propulsion system. Boat owners will have significantly lower fuel consumption and exhaust emissions and the industry’s best features for performance, comfort and maneuverability with the renowned joystick function. As with earlier drive units, the propeller series is systematic, which means that the boat manufacturer chooses the propeller according to the IPS model and top speed of the boat. The engine for the new power classes is Volvo Penta’s 11-liter engine, D11, with 700hp or 600hp. The engine is equipped with a twin-entry turbo that enables pulse charging, a technique that coupled with a mechanical compressor provides powerful torque from low RPMs. Combined with the larger IPS drive and twin forward-facing counter-rotating propellers provide highly rapid acceleration and immediate response to the driver’s commands. Increased efficiency leads to superior performance in the IPS900 and IPS800, combined with lower fuel consumption and in particular lower total emissions. Argentine builder Aqualum, after presenting two successful flybridge motor cruisers of 35 and 43 feet, continue to upgrade its range, this time entering in the over 50 plus feet motor yacht territory. With the new 55, Aqualum present a modern flybridge motor yacht, with an Italian Mediterranean design flare to its lines, also offering alternative layouts for the lower deck especially to what regards the cabin numbers. The Aqualum 55 is in fact offered in 3 different lower deck versions: layout 1 offers 3 cabins with the much requested full beam owners cabin with ensuite head VIP cabin to fore guest cabin with bunk beds in between and guest head, layout 2 is a similar plan accept for the master cabin where the en-suite head gets bigger with a bidet and a separate shower stall to starboard, layout 3 get a completely different layout offering a 4 cabin 2 head version with master cabin to fore and the fourth cabin in bunks, what can be an ideal big family or charter business solution. On the main split level saloon deck, the layout is somehow also a bit different to what the competition offers. The lower aft part here offers the galley located at stern to starboard, allowing easy communication with the exterior aft deck, with the upper fore area having the l-shaped settee with dining table to port, and to starboard the helm station. On the fly we have a traditional u-shaped settee, with a sunpad aft plan but also here Aqualum left a free space where a moving deck chair can be placed. Power to push the 26 ton 55 will be from twin 800hp engines, with speed figures so far not announced. Four Winns premiered the V408, during the recent Fort Lauderdale show, showcasing a new model, with plenty of innovative use of space, but also unheard features in a boat of this size and type. If you look for a smart hard top sport cruiser which feels big where it counts, this has to be one of your top views, offering smart ideas that take comfort onboard into another dimension. The V408 excels in all parts, but the aft stern area of the boat is where it shines the most, with the hi low bathing platform, the BBQ / Grill to starboard, or the settee which can be made to look to fore or also transform itself to a sunpad. Smart features for the V408 does not stop here, with innovative deck sunpads with adjustable head rest and a built in bimini for relaxed entertainment forward. The helm station is also a winner, and last the extended hardtop with big sunroof and central opening for easy deck movement. Below the V408 continues to surprise its intelligent use of space with three different options. Standard layout is a single cabin 1 head dual saloon, second option is an l-shaped settee convertible to double berth and a second head, and the third layout is a 2 cabin 2 head with aft cabin now becoming a fixed berth. Power for the V408 is from Volvo IPS500 and 600, which will sure give the ease of manoeuvring, low planning speeds, and better top speeds compared to shafts offered by the Swedish forward looking pods. The Victory Team will be looking to wrap up their eighth World Championship in the Mina Seyahi Grand Prix in Dubai, the penultimate race of the season on Saturday, 6 December, by bringing both their boats home ahead of their Qatari rivals, who still pose a mathematical but improbable outside threat to their title. Four wins this season for Victory 1 and five podium finishes for Victory 7 have put the Dubai boats respectively 33 and 18 points clear of Qatar 95 and in an almost unassailable position, with the luxury of an in-house fight for the title. Victory 1 is the clear favourite; they lead the World, Middle East and Edox Pole Position Championships comfortably and another win will all but guarantee Al Marri his second World title and Nadir Bin Hendi his first. But the Dubai crew has already seen one title slip through their fingers this year from what seemed an unassailable position. And if Victory 7’s rookie driver Abdullah Al Mehairbi and defending World Champion, Jean-Marc Sanchez, take the win and their team-mates falter or finish outside the top three, the title race will go to the wire and be decided in the Emirates and Dubai Duty Free Grand Prix on Saturday, 13 December. The Qatar Team has one last throw of the dice to try to turn around a season that promised so much but so far has failed to deliver the success that was expected. Their flickering title hopes rest with both Victory outfits breaking and posting only a handful of points, so realistically, they will be fighting each other for third place in the overall Championship standings, with both the Qatar 95 and Qatar 96 crews looking for their first wins of the season. Jotun will be hoping for a return to winning ways in Dubai, with the 2008 European Champions aiming to finish the season as the top European outfit in the overall standings and in the Edox Pole Position Championship. The target for Foresti & Suardi’s Italian-Norwegian pairing, who currently head the middle order, is to continue their season-long run of reliability, complete the season without any technical hitches and to finish as the highest-placed European team in the Middle East Championship. But to do so, first they must fend of the challenge from Negotiator following the Anglo-American pairing's impressive third place in their first outing together in the Egyptian Grand Prix in Porto Marina in October, currently tied with them in fourth place. SeveneleveN will be looking to complete their season of development as they started, by taking their third top-six finish of the year. Domenico Cirilli returns to competitive duties after missing the last race to partner Sergio Carrasco for his first outing in Spirit of Spain, with Giovanni Carpitella switching cockpits to partner Class 1 rookie, Abdelkader Ahmed in Roscioli Hotels Roma. And the 2007/8 Australian Offshore Superboat Champions, Tom Barry-Cotter and Pal Virik Nilsen, make their second appearance of the year in Class 1 and will showcase the newest Class 1 ‘spec’ raceboat, designed and built by Australia’s premiere manufacturer of long-range luxury motoryachts, Maritimo. Eleven boats will line up for the 21-lap, 97.21Nm Mina Seyahi Grand Prix; first official practice takes place on Thursday, 4 December (12.00-14.00) followed by a second session on Friday morning (10.00-11.30) and the Edox Pole Position at 14.30. Final practice is on Saturday morning (10.00-11.00) with the Mina Seyahi Grand Prix starting at 14.30. The new Beneteau 11 Antares combines a high-performance hull with modern lines and interior spaces that are great to live in and share. The interior is exceptionally comfortable, with a spacious 2 cabins, 4 berths living quarters and carefully designed features like the upper deck l-shaped galley to fore of the saloon. A well-equipped flybridge offers also a practical second living open area, unimaginable on a motor cruiser of 11 metres with great views out to sea. Power is by standard twin D4 260hp Volvo Penta, propelled by traditional in line shafts. Antarès 11 adopts the same hull design as the bigger Antarès 12 with a V-shaped hull forward, a flared bow which ensures exceptional sea penetration and a reassuring level of stability, which continues the good reputation gained over the years, for the sea-kindly qualities of this Beneteau range.